Instagram aesthetics for beginners! 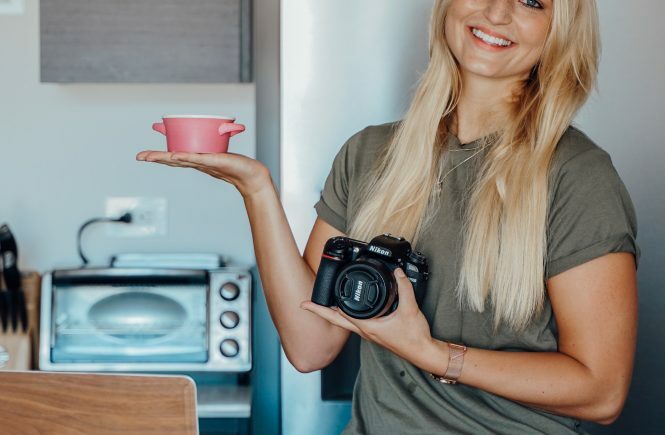 This helpful guide will show you how to get a cohesive Instagram feed that will convert to much more followers than before. Having a beautiful gallery will set yourself apart from so many other bloggers and will look a lot more professional. So you came here to learn about how to make your feed look more cohesive and structured, right?! I think having a unique feed is super important and gives a personal touch that will be remembered. I started color coding my posts about a year ago. Every couple weeks I change the color theme of my feed, which results in a rainbow of colors if you scroll down my gallery. 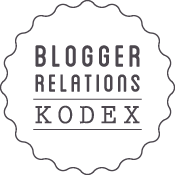 This really helped me to stand out from different bloggers because I was doing something different. Today I will be sharing my Instagram aesthetics insights with you! I will be structuring this post into different sections, each focusing on one specific Instagram aesthetic tip. So let’s get started! First of all I want to mention that without good content it will be hard to have a truly outstanding feed. Content is king – no matter which social platform you look at. That’s why you need to make sure that you upload only high quality content. Use a good camera. Don’t take photos with your phone. I personally only shoot with my DSLR camera. The difference in image quality is huge. Ever since I started taking photos with my Nikon I saw a big increase in engagement and followers. When someone comes to your feed for the first time it should be clear at first sight what you and your blog stand for. 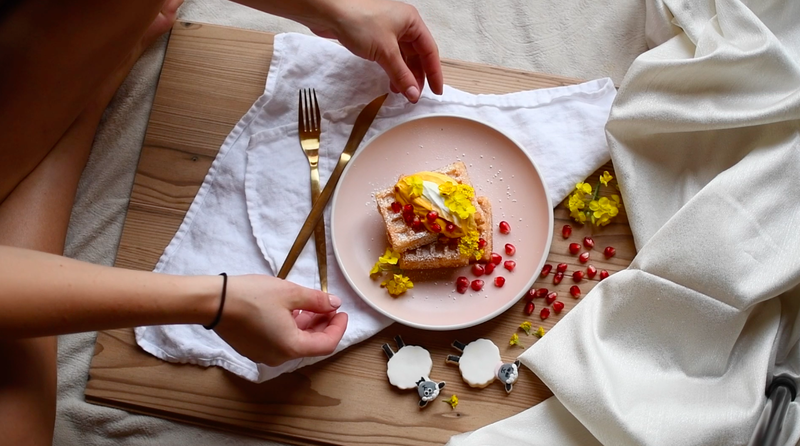 If you come to my Insta feed you will most likely know right away that I am a food blogger. Why? Because most photos I post are food pics. 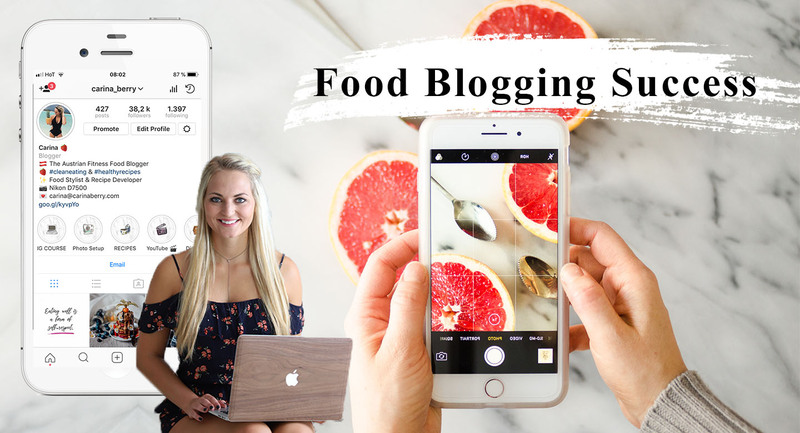 Let’s say I would post one food pic, one travel photo, one picture of a building, one of my cat, one detail shot of my make up bag and one more of my grandma eating cake you will most likely be confused about what my blog topic is about. I highly recommend picking one niche and sticking with it. There are already way too many people out there that do everything. I’m personally not the biggest fan of so called „lifestyle“ blogs. Simply because they don’t cater to a specific niche and the content if way too confusing for my opinion. That’s why also don’t follow many lifestyle bloggers. I rather follow some people that are on top of their game in different niches than following a couple lifestyle blogs that are just mediocre in everything they post. You know what I mean? Gaining new followers also goes hand in hand with creating new content. Make sure you have a posting strategy of what content you are going to create on a regular basis. Some questions you should be able to answer: How many times a week will I post? Whats the target group I am creating my content for? When are they online and when should I post? Will I post in a specific order? (e.g: food, food, me) Staying consistent in you posting strategy can help you improve your account a lot. If you want a cohesive Instagram feed one thing you really need to take into consideration is editing your photos. Having the same filter or the same presets on every food will massively increase the overall look and feel of your Insta gallery. It took me quite a while to find an edit that works for my food photos. 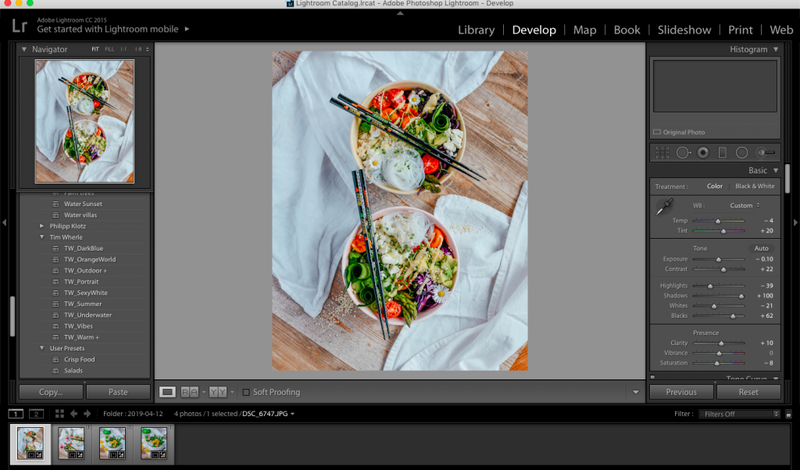 I made my own preset which I copy and paste onto my food pics now. Of course I have to go back and fine tune each pic individually again, but the editing style stays more or less the same. That’s how I get a congruent look on my gallery. Some big influencers sell their presets. I bought some of them already and it’s a great way to start out if you are not so experienced with editing photos. I edit my photos always in Lightroom. Free options are apps like VSCO cam, Facetune or Snapseed. Stand out and increase your follower by doing something different than everyone else! I highly recommend picking a certain color scheme and sticking with it. Adapt all your posts according to that color. It makes a huge difference in your profile appearance. 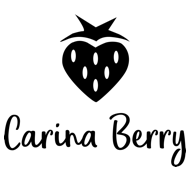 Check out my account @carina_berry to see what I mean with sticking to one color. As you can see I always pick one focus color and create content according to that. Since I couldn’t decide on one color because food itself can be so colorful and I felt I was limiting myself too much if I would just pick one, I decided to always change my main color every couple weeks. So I am going from red to green to blue to orange for example. Below you find some screenshots of my feed. A plan focuses scattered thinking and improves performance. That’s why you should definitely plan what and when you are going to post! Last but not least I want to share another useful tip of how to get inspiration for your gallery. I like to collect inspiration for my future posts and group them together on a so called „mood board“. For this I create a special board on Pinterest where I can simply pin all the posts I see from other people or on other pages that I like. On Instagram itself I also have specific mood boards for different topics. I like to save photos that would also fit into my portfolio so I can refer to them later when I want to create similar content. Having these mood boards can help you to collect your ideas and make them more visual. I hope you enjoyed this post on how to create a better and more cohesive Instagram feed. 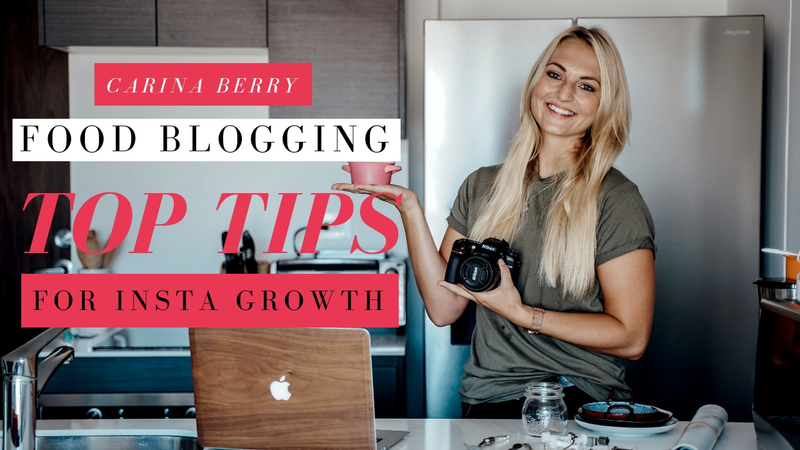 Feel free to check out more of my Instagram Growth content, like my top 10 tips on Insta Growth, Food styling tips or how to calculate your engagement rate. 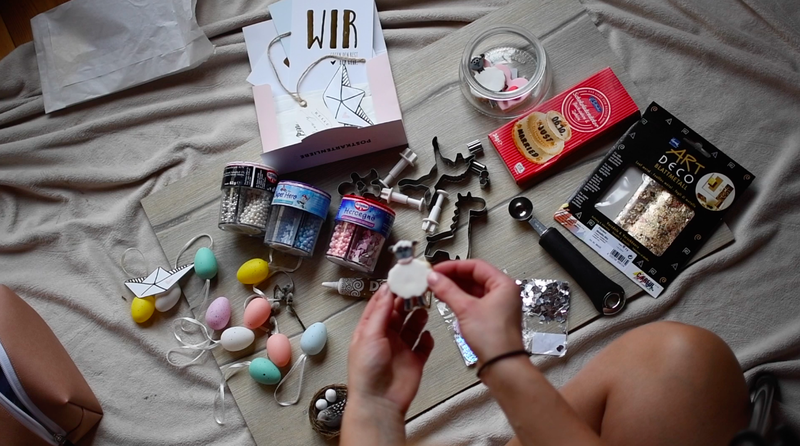 Head over to my YouTube video on my Instagram Top Tips as well! Have you ever calculated your engagement rate? It is a very important number that shows you how active your audience is! The easiest form of engagement is a like, followed by a comment. Engagement varies as your account grows, but generally you can say that anything between 2-4% is acceptable engagement. Anything above 5% is excellent. I noticed that accounts under 10k usually have a much higher engagement somewhere around 8%. I also know many micro-influencers who have less than 10k but 10-20% engagement and are often getting more likes than accounts with 50k! This is a weird phenomenon I still haven’t quite figured out yet. It seems like the more follower you have the less engagement you get. Some accounts with millions of followers only get 1-2% engagement. 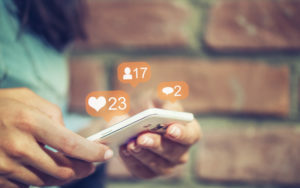 I did some research and found some interesting insights from the influencer marketing platform Markerly who reported that accounts with less than one thousand followers have a like rate of about 8 percent. This drops increasingly as influencers become more popular. Between 1.000 and 10.000 followers the influencer can record a like rate of about 4%. The like rate keeps decreasing within the range of 10.000 to 100.000 followers to only 2,4%. Once reaching the 1 million followers mark the rate drops to 1.7%. 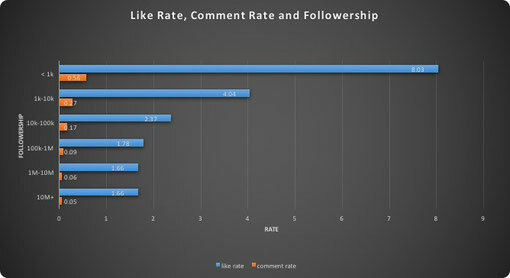 According to Markerly the rates for comments follow a similar pattern. I wanted to show you the graphic here where you can see the decrease of likes and comments compared to increasing followers. I also found a super interesting fact in a book called „influencer marketing“ where the authors established a 90-9-1 rule regarding user engagement. They looked at social communities and found out that 90% of all followers are people who view information but never or rarely take part in the conversation. The next 9% of followers contribute a little and the final 1% are those that create almost all the engagement and conversations. I have to say this something I totally notice on my own account as well. I always have those couple super engaged followers who comment and like every single one of my posts, then I have a couple who occasionally will write a comment and then a big amount of people who just look at the content, but won’t take any action. So now finally how do you actually calculate your engagement rate? Very very simple! I hope this article was helpful and I simply wanted to show you that you don’t have to start getting worried if you notice a decrease in engagement once your account starts growing. Even the statistics show that it is a normal thing that happens. Yet again Instagram has changed its algorithm at the beginning of this year and staying on top of the loop is harder than ever. It becomes continually more difficult for content creators that their followers actually see their posts. Right now it can happen that only 10% of your followers actually see your posts. Myself and a lot of my blogger friends have seen a huge decrease in likes over the past weeks. So this is how hashtags generally work: The more likes you have on your pictures, the bigger hashtags you will be ranked in. Hashtag Size: Before you were allowed to use up to 30 hashtags per post. Pull away from using the maximum number of hashtags. Now it is recommended to only use 5 hashtags, because otherwise Instagram will see you as a spammer if you max the hashtags all the time. Other people say it is still okay to use between 25-27 hashtags, but I would not recommend that. Less hashtags will be getting more engagement. So, use hashtags that are specific for your niche and have less than 1 million posts within their own hashtag! Hashtag Use: Also, don’t use the same hashtags over and over for each post. Instagram will notice that as well. So, it is important to find new unique hashtags each time. Hashtag Location: Another important thing: Don’t put the hashtags in the comments. From now on Instagram won’t show hashtags in the comments in the search results. Therefore, the hashtags go into the caption. This brings me to my next point which is your Instagram photo caption. Here we have an update as well. Changes to the caption: Prepare your caption really well because once you have posted it no changes should be made. Don’t repost or change anything once you post. The more you try to tweak your caption once it is uploaded it, the more your visibility will drop. So, post your photo with your description and your five hashtags and then just leave it. To summarize this review your caption well before you post and don’t change anything within the first 24 hours. There have also been updates on how Instagram notices comment interaction. Timeline: When you post a photo you will need to respond to the comments within 60 minutes or your posts visibility will gradually decrease. So, you have to be actively engaged as a real person. The more comments you will get in a short amount of time will make Instagram think that your post is worth sharing to all of your audience. These are the most important changes I wanted to share with you. 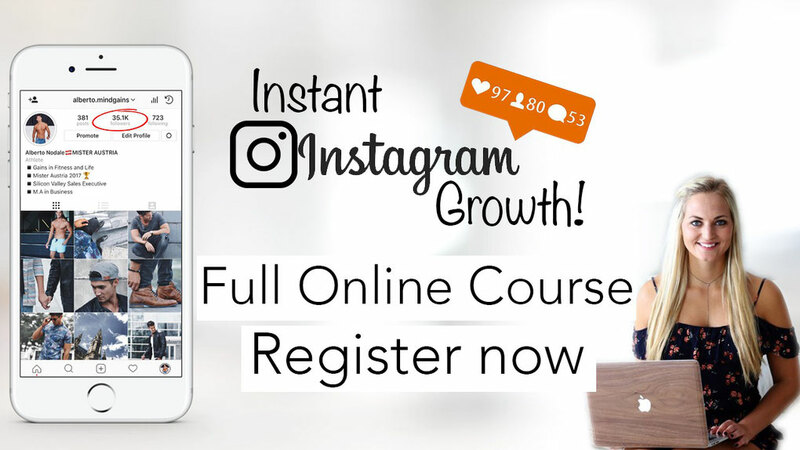 If you want access to all algorithm changes and learn how to new update affects your stories, comment groups, follow strategies, comment lengths and story hashtags you can check out my new online course here. Disclaimer: The information provided here has been gathered through miscellaneous sources and my own experiences on the platform. Some information may differ slightly. I cannot guarantee the validity to this information, but did my best to cross check my sources thoroughly. Learn how to work with the algorithm and set up a successful account in our online course.